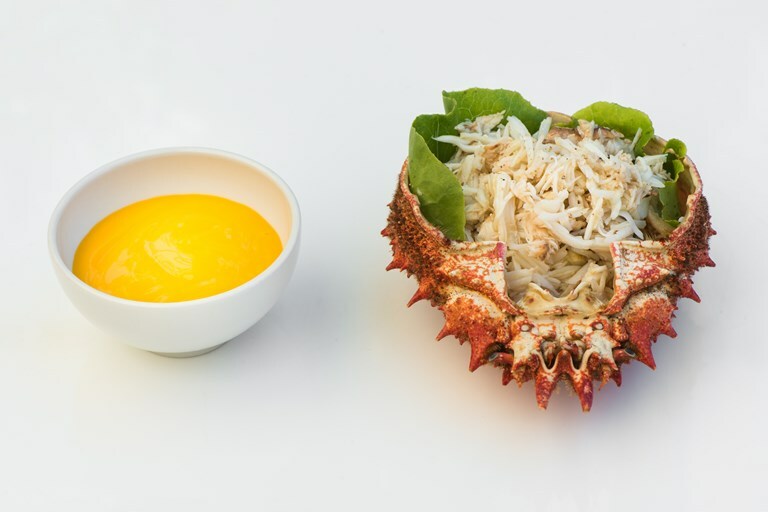 This simple lemon mayonnaise recipe from Grazia Soncini is the perfect accompaniment for fresh seafood, in particular delicate crab meat as the chef serves hers here. The lemon mayonnaise is enriched with egg yolks, lemon juice and corn oil, turning it a fantastically vibrant yellow. If serving the crabs for two buy the meat ready-picked (as whole crabs tend to be rather large) for an incredibly easy starter or light lunch, and ask your fishmonger for crab shells to serve the meat in to make the presentation extra special. By taking the very best fish, seafood and game from the surrounding area and cooking it in a traditional manner, Grazia Soncini has managed to hold on to a Michelin star for over fifteen years. Cooking alongside her mother in the restaurant kitchen, she creates hearty dishes which remind guests of the family dinners they had as children.